The Phanteks Evolv X will be the centerpiece of your home or office, coming in an attractive range of colours: Satin Black, Gunmetal Grey and Galaxy Silver. The Phanteks Evolv X is a stylish Mid-Tower case that can hold up to an E-ATX motherboard. It has multiple sophisticated features for those who are passionate about hardware. For example, with the appropriate bracket and Phanteks power supply, an ITX motherboard can be mounted to the roof of the Evolv X. This makes the case ideal for complex tasks that require dual systems such as server management and live streaming. 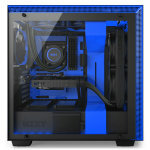 With the Evolv X, Phanteks have created a visually impressive case for enthusiasts. They have achieved this by combining premium materials, such as sandblasted aluminium and powder coated steel, with well thought out design elements. 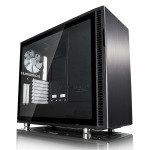 The case features two tempered glass side panels which allows users to display the core build components. The side panels can also be easily attached and removed via an ingenious magnetic hinge system that suspends the panels securely in place. Aluminium handles on both side panels allow you to open them without any unsightly fingerprints. They can even be secured behind the front panel using thumbscrews, which is ideal for LAN events & transporting your system. In addition, the case has a distinct front panel featuring rugged styling and excellent thermal properties. A 30mm clearance between the front panel and chassis ensure great airflow, which is further enhanced by the front panel's large surface area and mesh sections to prevent dust entry. The top panel features mesh vents on both sides, and an airflow cover is supplied to prevent air recirculation when the top exhaust area is not fully occupied. This adds up to a significantly better airflow experience than the original Evolv ATX Glass edition. The Phanteks Evolv X has excellent cooling properties whether you prefer air or water cooling. 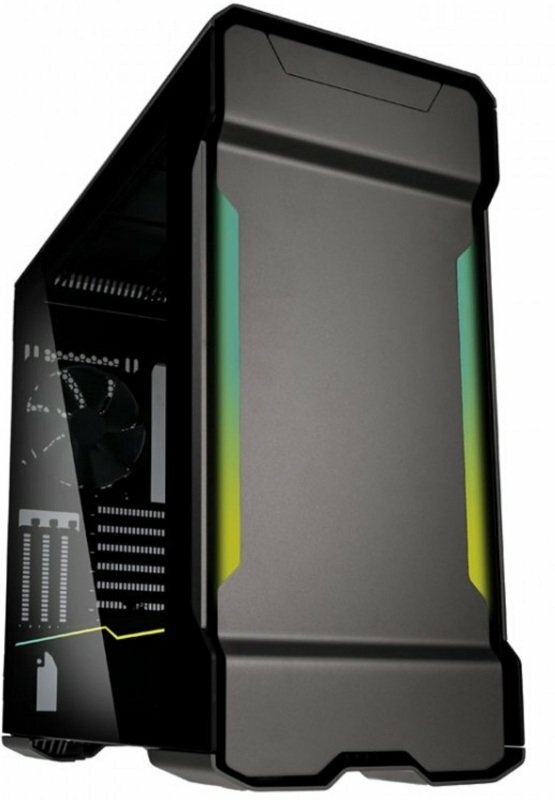 Overall the case can accept a total of seven 120mm fans, three in the front, three on top and one at the back. 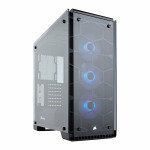 Alternatively it can hold up to six 140mm fans with three in the front, two on top and one at the back. If watercooling is more your thing, the case can accommodate a 360mm on top, up to a 360mm on the front and a 120mm in the back. Alternatively for 140mm it can hold up to 420mm in the front, up to 280mm on top and 140mm in the back. Phanteks have also integrated convenient fill and drain ports. 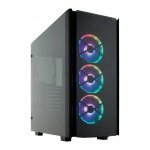 A Universal fan hub has been include which lets you to control all the fans within the case and Phanteks have even bundled three 140mm Phanteks Premium fans, which are based on the MP model. A striking feature of the Phanteks Evolv X is that it is capable of holding up to 9 SSD and 10 HDDs. 6 x SSD and 4 x HDD mounts are included as standard. Not only that, they can be discreetly tucked away into panels that fold out from the case's right side. There are additional panels that are tool-lessly mounted inside the case to conceal unsightly cables, along with dual lane cable routing options and sliding covers at the front side of the Evolv X, ensuring a clean system with minimal effort.